The numbers don't lie. Each year nearly 250,000 Americans experience STEMI, the deadliest form of heart attack. ST-elevation myocardial infarction (STEMI) is a type of heart attack caused by a prolonged period of blocked blood supply that affects a large area of the heart. STEMI is often called “the widow-maker,” requiring quick response times to save lives and prevent disability. Survivors have likened STEMI to being shot in the chest. Thirty percent of all STEMI patients fail to receive the recommended treatment to prevent paying the ultimate price, but the American Heart Association is working to change that. We are engaging physicians, nurses, EMS and other providers to create or expand STEMI systems of care to ensure prompt, seamless, effective treatment to all STEMI patients across the state of Texas. • Patients, family members, co-workers and the public at large must be educated to recognize the signs of heart attack and to act quickly by calling 9-1-1. • Ambulances must be equipped with 12-lead electrocardiograms (ECGs) and paramedics must be trained to identify possible STEMI events and send ECG and patient data to the receiving hospital. • Emergency medical service providers (EMS) should transport all STEMI patients to the closest hospital that offers percutaneous coronary intervention (PCI). PCI takes place in a cath lab and includes angioplasty or the placement of a stent to remove the blockage and stop the long term damage to the heart. • PCI hospitals must submit and monitor their patient care and treatment times to ensure meeting the national guidelines established by the American Heart Association and the American College of Cardiology. 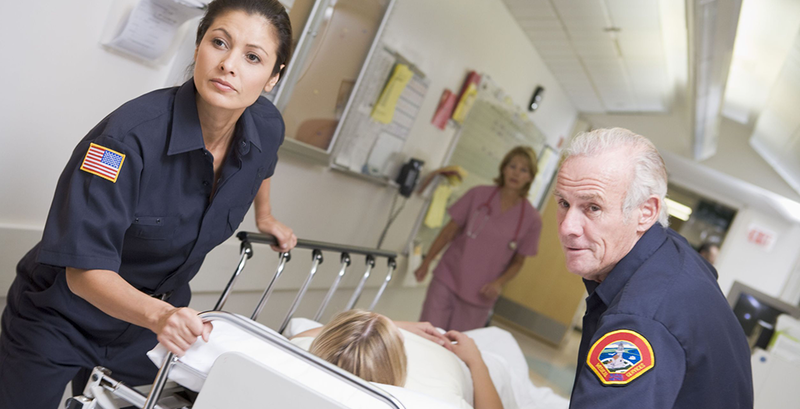 • EMS and hospital personnel at both PCI and non-PCI hospitals must coordinate and communicate in regional and statewide systems to expedite and track the care of STEMI patients. • Non-PCI hospitals must work with EMS and PCI hospitals to develop protocols for timely treatment and transfer of STEMI patients to PCI capable hospitals. Developing successful systems of care requires everyone working toward a common goal. During the 83rd Texas Legislative Session, funds were appropriated with the intent to advance an important step in ensuring optimal care for all heart attack and stroke patients by requiring data collection throughout Texas. That was a tremendous success for Texas. Through the guidance of subject matter experts and stakeholders, and with the approval and recommendations of the Texas Council on Cardiovascular Disease and Stroke, The Texas Department of State Health Services is coordinating a statewide effort for the use of data that is already be being submitted by many hospitals in the state and working to expand regional efforts already underway, making a difference in saving lives. This statewide effort is a significant step and this data will be used to provide continuous quality improvement and help healthcare providers meet national STEMI treatment guidelines for every patient every time in Texas. If you’re interested in joining the discussion on systems of care and improved cardiovascular health in Texas, contact Courtney DeBower at [email protected] or (512) 338-2655. A diverse group of stakeholders is currently hard at work developing future legislative proposals aimed at saving lives and minimizing disability from heart attacks and stroke. Connie Kerr of Arlington, Texas, is the American Heart Association-SouthWest Affiliate, State Advocacy Committee Chair for 2013-2014. Suzanne Lozano of San Antonio, Texas, is the American Heart Association-SouthWest Affiliate, State Advocacy Committee Chair for 2014-2015.